6 Stripe Hankies Assorted / White. 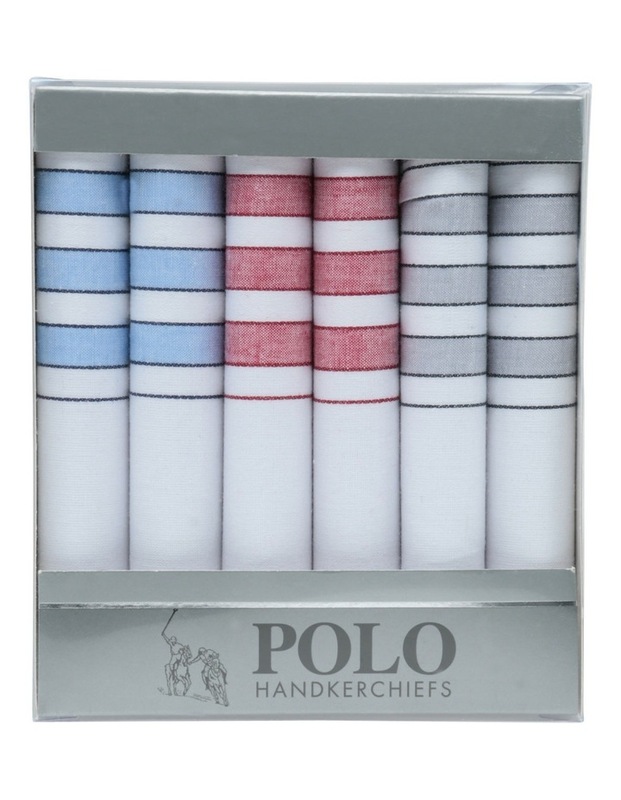 Polo 6 Stripe Hankies. Cotton handkerchiefs.